MaxMeyer AquaMax Precleaner is recommended for use on every job. 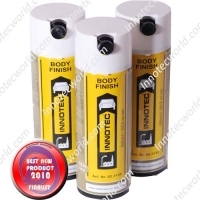 It is designed for the easy removal of any water based contaminant that can cause serious problems in the paint process including corrosion. AquaMax Precleaner is best used from a pump spray bottle and also provides easy removal of water based glue stickers.